Popular gaming YouTubers ProSyndicate and TmarTn have been caught in a gambling scandal involving the video game Counterstrike: Global Offensive (CS:GO) amidst a class-action lawsuit filed against its publisher, Valve. 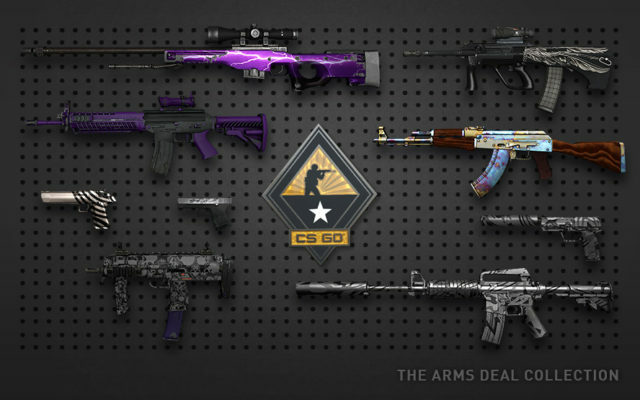 CS:GO weapon skins are an emerging online market, retrievable through “crates” that can be randomly earned in the game and unlocked through purchasable keys, ranging from ~€0.50 up to €5. The contents of the crates are random and can be worth anywhere from a few cents to 23,850 USD. The game as well as the item market have been astoundingly popular and players were quick to expand on it by establishing third party gambling sites where they are able to bet skins and inventory against each other. These third party sites have become a major industry. It is estimated that around $2.3 billion worth of loot was traded on those websites in 2015, with many of the bets involving underage players who are below the legal gambling age, according to a Bloomberg report. Now e-celebrities ProSyndicate and TmarTn have posted videos of themselves gambling on such websites, with video titles like WINNING BIG $$$$!!! (CS:GO Betting) promoting the website CSGOLotto.com. Research by another YouTuber, HonorTheCall, revealed that the the pair founded the website themselves, drawing massive attention after H3H3 productions publicized it. The situation might just be serious enough enough to trigger a response from Valve, the game’s publisher. Valve is seeking to not only protect their own market, but also to showcase control and security over the ecosystem, to help fend off the class-action lawsuit that has been filed against the company for allegedly presiding over an illegal gambling trade. In the lawsuit, the plaintiffs claim that Valve is running a betting scheme similar to a casino’s in addition to allowing minors to participate in said gambling. With in-game marketplaces still an infant industry, Valve’s position places it in a legal grey area. Should the class action lawsuit be successful, it would set a major precedent for the gaming industry, perhaps threatening the very existence of in-game transactions with randomized results.